From teenage salesman to showroom owner, Johnny Dangerfield’s 37 years in the automotive business have seen him endure more than a few ups and downs. CHARLESTON, SOUTH CAROLINA, UNITED STATES, November 6, 2018 /EINPresswire.com/ — Starting his career in the automotive business when he was still just a teenager, South Carolina’s Johnny Dangerfield is today the proud owner of the state’s number one independent car and truck dealership. After almost four decades in the industry, the businessman and entrepreneur has represented some of America’s best-loved automotive brands, including Ford, Saturn, Pontiac, Buick, and more. By his early 30s, Johnny Dangerfield had held numerous general manager positions, the first of which—at the time—made him the youngest general manager within one of the country’s most successful dealership groups with over 85 locations nationwide. By 1995, however, Johnny Dangerfield had made the decision to go it alone. “I established my own venture, Johnny’s Truck and Auto Center in Moncks Corner, South Carolina,” he explains. “Within five years, the business had moved to a purpose-built facility where it continued to grow, before adding Johnny’s Accessories Shop,” adds Johnny Dangerfield. The venture quickly further expanded, with Johnny Dangerfield becoming a Suzuki franchisee responsible for two additional locations. Shortly after, he was named the number one Suzuki dealer in the U.S. for market penetration, earning himself the nickname ‘Johnny Suzuki’ in the process. A third franchise agreement followed, this time with General Motors. 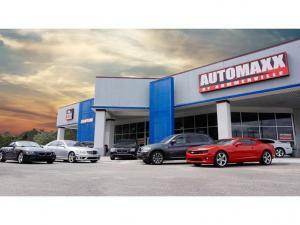 “By 2007, we had four franchise locations and two pre-owned lots, with over 350 employees,” reveals Johnny Suzuki. Unfortunately, within two years, economic downturn had hit the automotive industry in the U.S. hard, including Dangerfield and his businesses. Downsizing operations as a result and severing ties with Suzuki and General Motors, Dangerfield’s attention returned to the Moncks Corner business established in 2003. Four years later and with sales steadily increasing month on month, Johnny Dangerfield moved Johnny’s Truck and Auto Center and its accompanying accessories shop from Moncks Corner to Summerville, establishing Automaxx of the Carolinas in the process. Within three years, the relocated business was selling over 700 vehicles per year. A further twelve months on, that number had more than doubled, rocketing to 1,500.